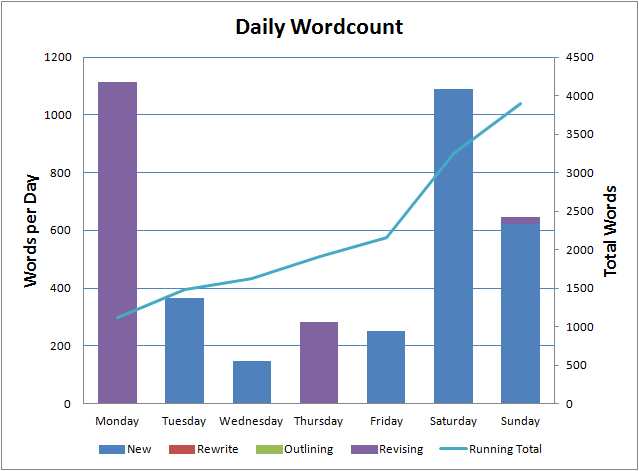 Another week, another seven days added to the writing streak (330 days and counting). A real mix of stuff this week. Some revisions of Glitch, a trial chapter on the next novel I’ll be writing and revisions of a couple of short stories Saviour and The Face on Benefit Street. All in all, a total of 3,896 words which is a bit less than I’d have liked but our renovations had a bigger impact than I thought they would. This week will mostly be spent on Glitch. I’ve still got over a month to get it revised but I want to get back to The Ghost Smuggler and on to my next novel as soon as possible.